If you are looking to benefit from a wide range of digital TV channels and radio stations without paying a monthly subscription then Freeview could be for you. It offers a great choice of TV channels including BBC3, ITV2, More 4, CBeebies, CNN, Dave and BBC News. It also gives you access to a superb range of digital radio stations including BBC 6 Music, Absolute Radio, 5 Live Sports Extra and, Smooth Radio, and some Freeview systems also allow you to pause, record and rewind live television. With several Freeview options including HD and Freeview + choices, Dale Comm can advise you on the best Digital Aerial for the Leeds signal area. We have been installing digital TV aerials for Freeview systems since the technology was developed, so you can trust us to supply and install your system, and we wil not leave before we have shown you and your family how to get the most out of your new Freeview system. Freeview – A great range of digital TV and radio channels including all the terrestrial channels and dozens of others including Dave, Film 4, ITV3, E4, Challenge, 5 USA and CBeebies. 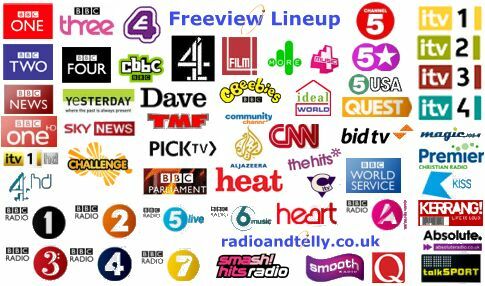 Freeview HD – A great range of channels and a number of leading high definition (HD) channels such as BBC1, ITV and Channel 4. Freeview + – A superb range of digital TV and radio channels and the ability to pause and rewind live television. You can record one show and watch another and even use the ‘series link’ option so you never miss an episode of your favourite show. When you book an appointment with Dale Comm, we will talk you through your various Digital Aerial choices for the Leeds area, if you have not got a Freeview TV then we can show you the various set top box options. We will give you advice on the right box for you, and our experienced, reliable engineers will install your digital aerial and set-top box. Often, we can do this on the same day, once your aerial and set-top box are installed, we will even show you how you and your family can get the most out of your new Freeview system.